During the afternoon of April 29, Doctors Without Borders/ Médecins Sans Frontières (MSF) makeshift hospitals were subject to outrageous breaches of respect as intense fighting erupted between armed opposition groups in the besieged Syrian city of Damascus, in the suburbs of East Ghouta. As an "in-extremis" measure to underscore that such attacks on healthcare will not be tolerated by MSF, nor by the medics MSF supports. MSF will suspend its medical support to the East Ghouta region until there are clear signs that the fighting parties will respect healthcare. Reports from doctors that MSF supports in the area outline grave incidents on the 29 and 30 of April in which armed groups showed absolutely no consideration for the special protected status of patients, medical facilities and health workers. The first day, approximately 30 masked and armed men stormed into the Hazzeh hospital to seek out specific wounded patients and seized the hospital’s ambulance. A few kilometres south, Aftares medical point was hit by bullets as fighting surrounded it for two days, its medics trapped and unable to collect the wounded, even those lying within sight of the hospital, or to evacuate to a safer area. The East Ghouta rural zone near Damascus has been besieged by Syrian Government forces since early 2013. MSF has been providing remote support to the majority of health facilities in the East Ghouta area, and has built a strong relationship with the medics, helping them to maintain their space for impartial medical care as well as providing them with medical support, both technical and material. Intense fighting between opposition armed groups erupted on April 28, the conduct of which has shown no consideration for the special protected status of medical care. “On behalf of the doctors we support, MSF condemns in the strongest terms the armed incursion into a health facility by masked individuals, the intimidation of health workers, and the seizing of an ambulance,” said Brice de le Vingne, MSF Director of Operations. “Medical spaces are protected under international law and must remain a place of humanity in war, treating everyone - civilian or not - on the basis of their medical need alone. We will speak out to defend the protected nature of medical spaces and to underscore the need to prioritize the protection of patients and medical staff. We have issued clear demands to the armed groups operating in the East Ghouta area, assuring them that MSF’s considerable medical support to the zone will be suspended until there are clear signs that belligerents will take precautions to ensure the respect of patients, medical facilities and health care workers alike,” expressed de le Vingne. These incursions into health facilities and obstruction of healthcare come at a time when lifesaving medical care is needed most: a nearby MSF-supported field hospital that has so far been able to continue functioning received more than 100 wounded patients during the two days of intense fighting on 29 and 30 April alone. 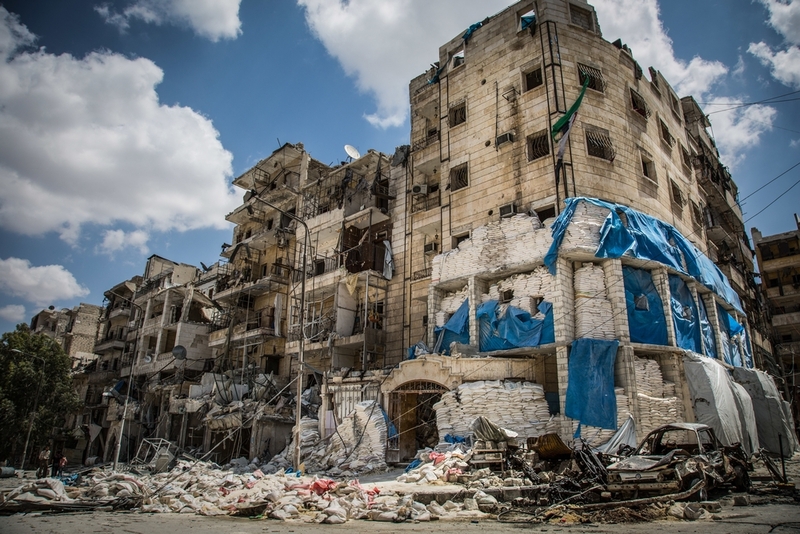 MSF calls on all armed groups in the Syria war, whichever side they are fighting on, to respect the protected nature of medical spaces and the protection of patients while under treatment. This means avoiding bombing or shelling them, and desisting from armed incursions, intimidation of medics, theft of ambulances and hospital supplies, and attempting to seize or kidnap patients under medical care. No weapons or people bearing arms to enter medical facilities. Patients must be considered as outside of the conflict and due precautions must be taken by fighting parties to avoid direct action against healthcare, or hitting healthcare in their crossfire, or any other military acts that might jeopardize patients’ medical care. The transport of wounded and other patients, regardless of their identity, as well as the unobstructed movement of ambulances must be permitted and facilitated. Medical facilities, their goods and supplies, and ambulances must never be used for military purposes. Unobstructed evacuation of patients and medics when they need to move to a safer area must be permitted. MSF directly operates four health facilities in northern Syria and provides support to more than 150 health facilities countrywide. In East Ghouta, MSF supports 19 field hospitals, two maternity units, seven primary healthcare centres, and five small medical posts. Many of these are fully MSF-supported, and some are supported by a variety of aid organizations including MSF. Over just three months from November 2016 to January 2017, these facilities performed 291 thousand emergency procedures and out-patient consultations, 18,750 surgical operations, and 3,100 safe deliveries. MSF accepts no governmental funding for its work in Syria, in order to be demonstrably independent from political motives.